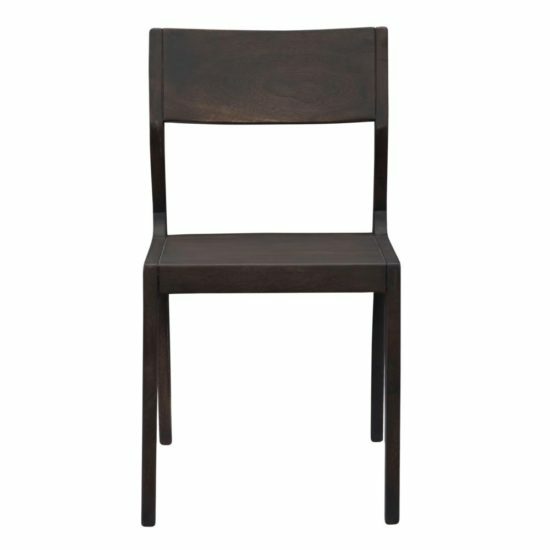 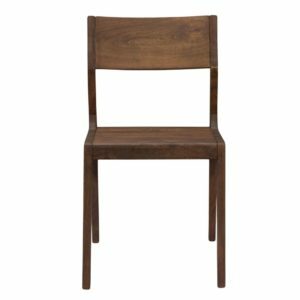 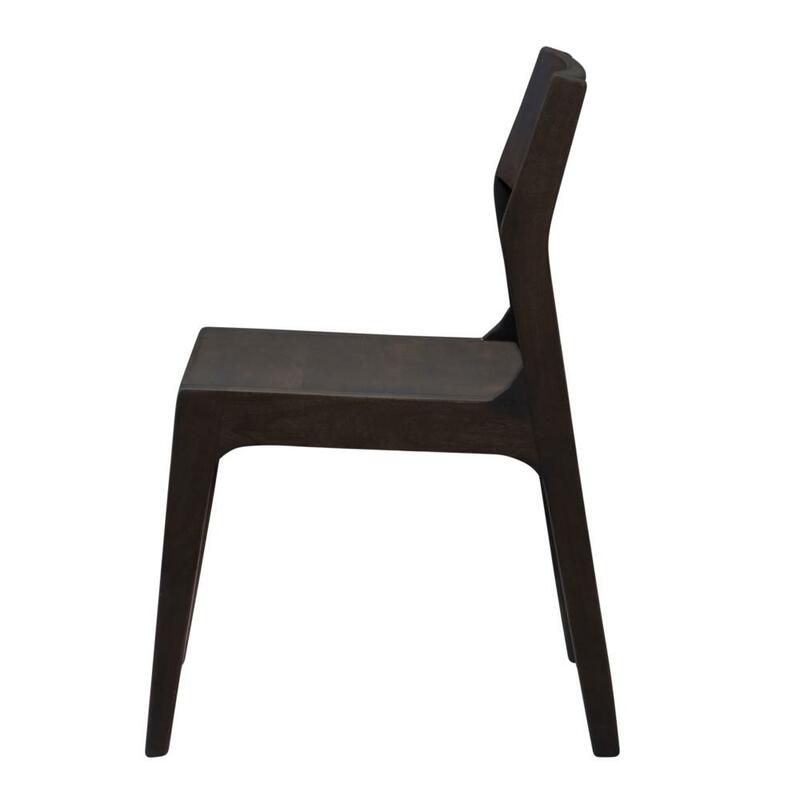 his sturdy construction chair fits in perfectly around any dining table due to it’s armless design. 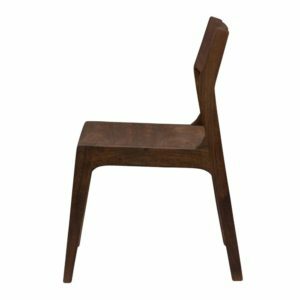 Made of solid acacia wood. Comes in light or dark brown.